Kumho had high hopes of success on last weekend’s (February 4/5) Corrib Oil Galway International Rally, but exceeded all expectations by equipping not only the outright winning WRC Subaru of Garry Jennings and Rory Kennedy, and the Ford Fiesta of new signings Alastair Fisher and Gordon Noble that annexed the all-important R5 class, but cars victorious in no less than 10 other divisions. 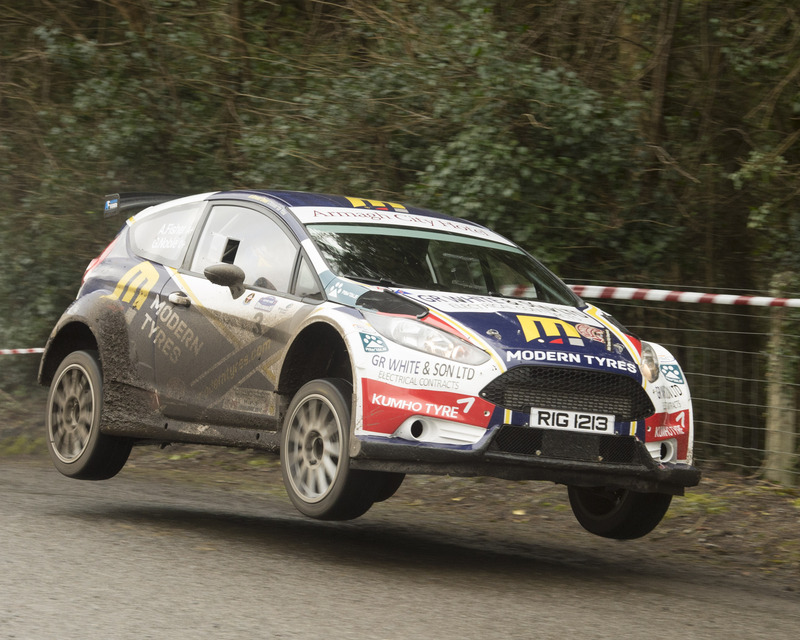 This was Fisher’s first outing with backing from Kumho, plus renewed support from the company’s Irish Distributor, Modern Tyre Service of Enniskillen, and his haul of maximum points towards the Clonakilty Blackpudding Irish Tarmac Rally Championship means he is now leading the series outright with five rounds to go. Said Kumho Motorsport’s Steve Thompson: “We have a strong record in Irish rallying, but this was nevertheless a standout weekend for us. Fisher and Noble were never headed within the R5 class and finished over 30 seconds ahead of their nearest championship rival. They were running our latest, soft-compound FIA-homologated TM02 tarmac rally tyres, while the majority of our other runners were shod with Kumho’s proven TW02 tyre or hand-cut slicks. We couldn’t have hoped for a better start to the season and now very much look forward to the second round of the Irish tarmac series, the West Cork Rally on March 18/19. For further information on Kumho or its products for rally stage, circuit or road use see www.kumhotyre.co.uk.